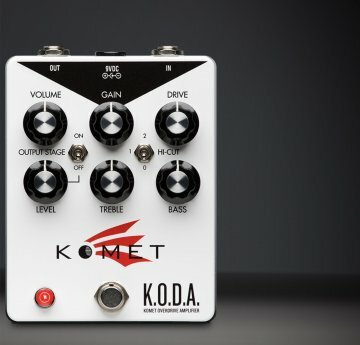 KOMET K.O.D.A > Komet Amplification > Diffusion Audio Inc. The K.O.D.A. is unique in the pedal world in that it represents a full-featured amp-in-a-box, consisting of a discrete preamp, active tone control section, and a unique switchable power-amp output stage. 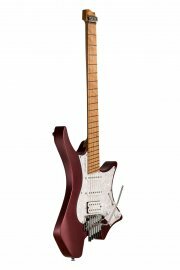 It can be operated with the output stage switched on or off, giving players very different tone and response characteristics — a new level of versatility not found in other “amp-like” pedals. A three position hi-cut switch allows users to fine tune K.O.D.A.’s treble content to their amplier.